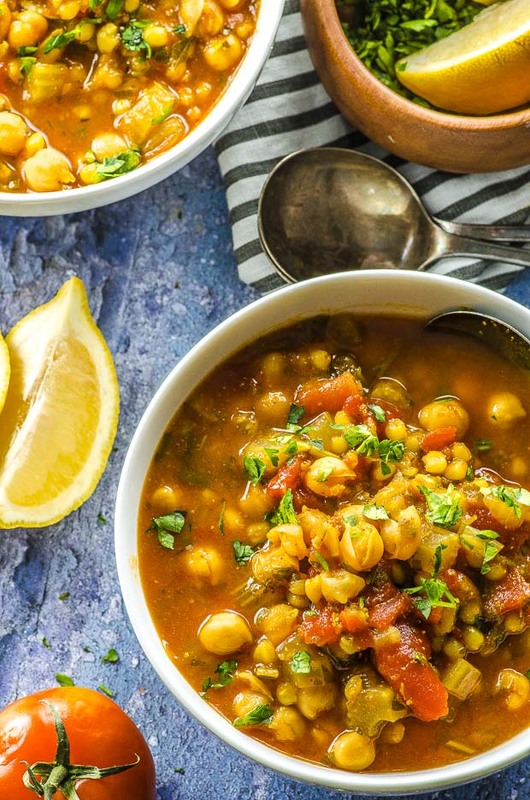 This satisfying and body-warming Wheat Berry and Chickpea Soup features the humble and antioxidant-rich chickpea, making it your best defense against flu and cold season. 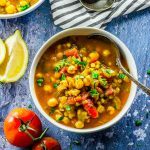 Tracing its roots back to the ancient Middle East, the chickpea (also known as the garbanzo bean or ceci bean) can also be found throughout the Mediterranean, North Africa, and Europe; it has given rise to rich and sustaining foods like hummus, falafel, Italian soups and pasta, Ethiopian stews, and Indian curries like Chana Masala. As the world’s third-largest grown legume crop, chickpeas are an affordable and easy to grow crop, even in difficult and arid climates. As a result of its ease in farming and extraordinarily high-level of protein, the chickpea has earned a starring role in international aid projects to end hunger in the Sub-Sahara. 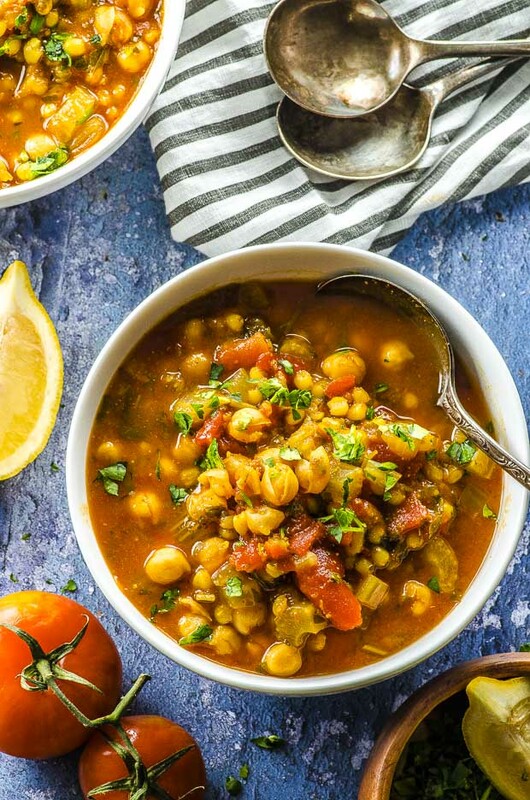 What gives our Wheat Berry and Chickpea Soup such a potent punch against cold and flu symptoms is its super immune-boosting properties. The chickpea’s high levels of folate (a whopping 71% of the recommended daily allowance in just one cup!) regulate mood, appetite, and sleep by maintaining important levels of amino acids in the body. High levels of the antioxidant mineral manganese also help keep metabolism regulated so that you’ll feel full and less hungry. 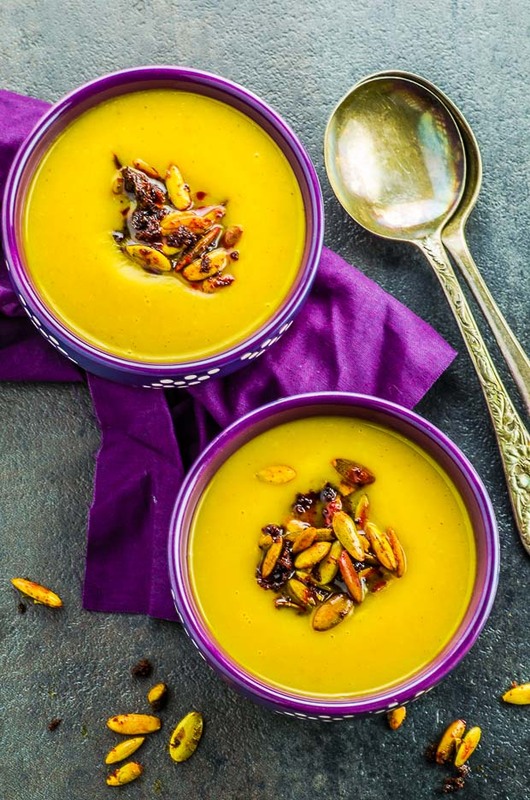 For some extra sweetness and increased Vitamin C, add a handful of cubed butternut squash or sweet potato to the soup with the other ingredients. 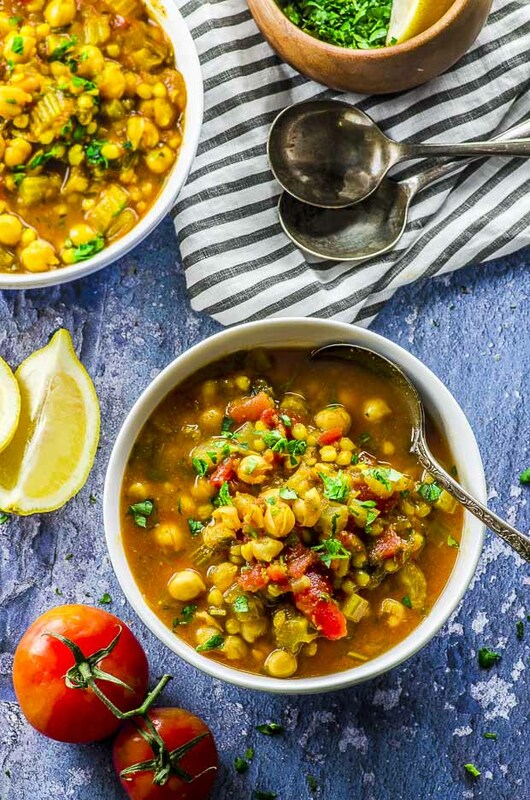 FThis satisfying and body-warming Wheat Berry and Chickpea Soup features the humble and antioxidant-rich chickpea, making it your best defense against flu and cold season. Before serving add lemon and fresh cilantro. 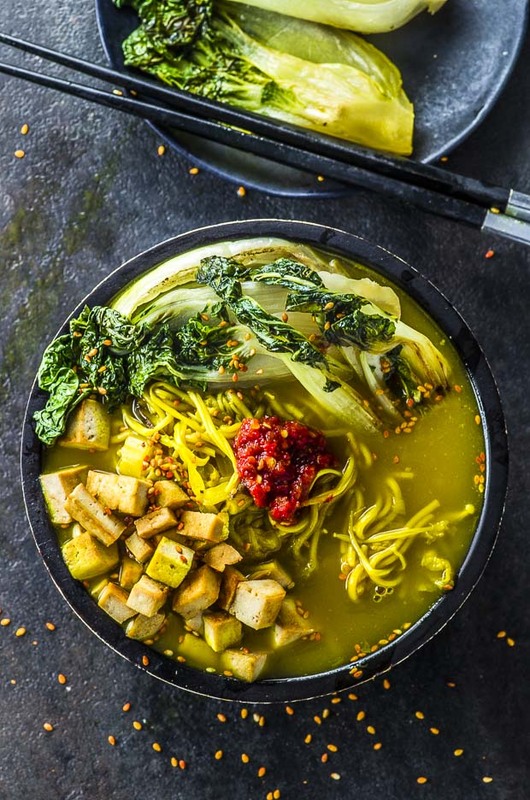 Oh my goodness this soup looks so delicious!! Thank you so much Alicia. 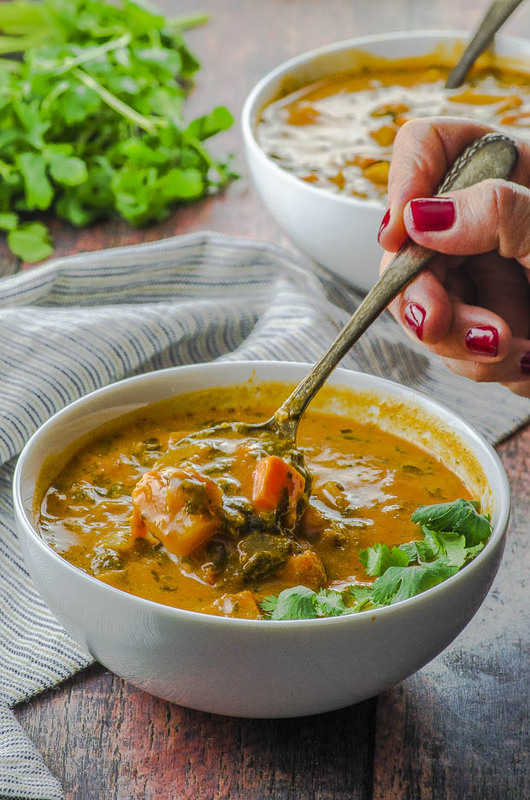 I make this one with barley instead of wheatberries – personal preference, but this is so delicious. Adding butternut squash is a great idea. Thank you very much Paula. Barley is a great substitute for the wheat berries in this recipe. Thank you so much for the tip. Loved this recipe! thank you for sharing!